Ken's Autos are one of the leading clutch repair and replacement garages in Essex and Surrey. We are a one stop shop for all your repair work and replacement parts for all makes and models. 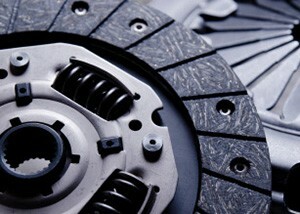 We have been replacing clutches for a long time now and all of our car mechanics are fully trained and experienced. We have a great competitive edge on all the parts supplied and quality. Problem: Vehicle will not drive up steep hills. Probable cause: Incorrect clutch adjustments, worn clutch facings, facings contaminated with oil, pressure plate defective and/or broken springs. Problem: Engaging first gear from neutral difficult and making noise, vehicle pulls forward even with pedal fully depressed. Probable cause: Clutch adjustments incorrect or lacking fluid in hydraulic operating system, buckled plate or seizure on spines, worn spigot. If you are still not sure whether you require a replacement or swapping out then you can always pop along to one of our Croydon or Surrey garages and receive a check from our experienced team. Our engineers will tell you honestly whether you require this work doing or not. If you do require a replacement, then our experienced and effective team will get to work right away and have you on your way in no time.